this picture was esther’s idea. she said “look at all the wheels”. so we did. this flag is all worn out. that’s probably symbolic. this sign informs us that if you push your trolley past this point then the trolley will stop suddenly. perhaps the reason it would stop suddenly is that you will have driven it in to this brick wall ? someone (yrret?) had written their name on the floor in the tate modern in Iraqi war villain playing cards which was nice. it worked quite well in reflection from the mirror ceiling. i’m pleased to see that rope and knots are still in use in modern britain. i thought ropes were only used at the seaside nowadays, with urban man preferring a more secure padlock. this knot is quite elaborate and one i never learnt when i was in the cubs. without claudia, alan and the paps, covent garden looked quite empty. a purple gloves next to the double purple lines on a london street. the purple lines denote that the road is one of London’s red routes. there’s a period in life when you don’t have to worry about marbles on the floor. for me this was the period between leaving my family home and having children. like all things you forget what the reality of a thing was like until it returns. marbles are great at just being there when you put your foot down. usually directly underneath your foot. when i was a kid i used to think that marbles were miniture spy cameras which were put in our house by aliens / the police to spy on me and my family. i was utterly convinced about this and i can remember vividly staring at a marble which had rolled under the sofa in my old old house when i could have been no older than 6 ! i was really spooked back then. do manx fishes have no tails ? surely that makes them incredibly easy to catch ? here is something nice for anyone interested in british life. lawnmowing is an essential part of the british psyche. unless you live in the middle of a town. 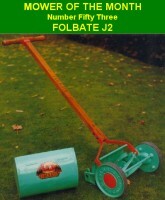 Visit the British Lawnmower Museum and listen to the music as you peruse the wonderous machines. The photo gallery is a little disapointing. For real pictures you’ll have to go to the Old Lawn Mowers Club which has a mower of the month feature. here is my favourity drinking glass. it’s probably a highly valuable collectors item, but i use it every day and the dishwasher has slowly faded its beautiful design. in particular, dear dead diana has become transparent in the body. When filled with Ribena she goes all red. i ate something which was not quite a quiche last night. it was in fact made of goats cheese i think. but to me, it looked like an egg pie. here is a cottage pie. we don’t eat much processed food nowadays. it never ceases to amaze me how space age we’ve become. each pie individually processed and precooked and wrapped in plastic ready to be reheated. i think i could live with that idea, but somehow the printed writing on the plastic film makes me think the manufacturers consider this a ‘pie unit’ and not someone’s diner. It says ‘uk Cottage Pie 900G’ and is printed in a nice old courier font. 900G is probably the pressure they put the pie under or something.